What are your travel beauty secrets? This is the second post this week I've seen on this! Looks so good, I gotta try it! Love multi-use products, will definitely check this out! 'Pop that kitchen sink away' made me smile, I can so relate to that! Whenever I go anywhere I literally have a 'what if this happens' mentality and end up sitting on my suitcase to close it... 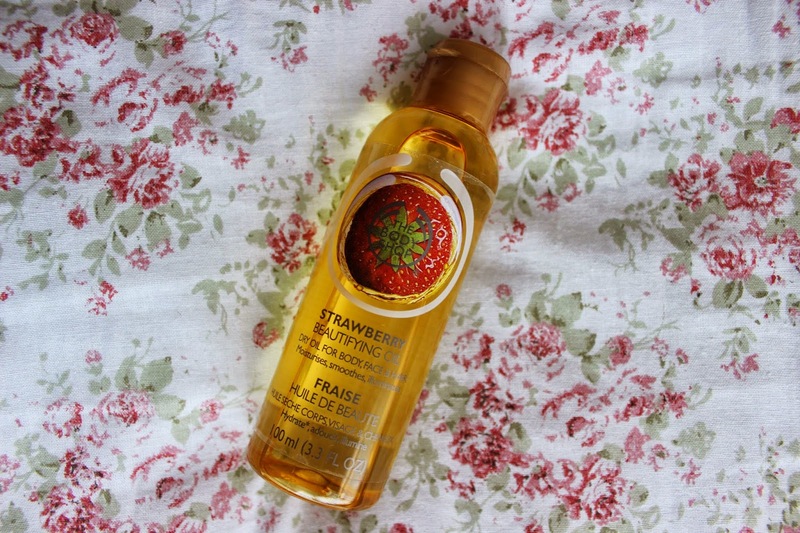 I'm a huge fan of The Body Shop but I never knew they did their strawberry scent in an oil, what a gem! I'm obsessed with a good oil at the moment so I'll have to pop in to grab one! Thanks for the recommendation! Lovely post and lovely blog too.